A prop bet on the NFL draft caused confusion at a Nevada sportsbook, leaving bettors who backed Baker Mayfield wondering why they weren't paid and prompting Nevada Gaming Control to get involved. William Hill US was the first Nevada sportsbook to post odds on the NFL draft. The company, which runs the sportsbooks at more than 100 locations in the state, initially offered head-to-head matchups based on which player would be drafted first. On April 4, when the odds first were posted, Mayfield was matched against Louisville quarterback Lamar Jackson. William Hill listed Mayfield at +7.5 and sent out a press release explaining that the Oklahoma Sooners quarterback would need to be picked at least eight spots earlier than Jackson. Mayfield went No. 1 overall to the Cleveland Browns, and Jackson went No. 32 to the Baltimore Ravens to close out the first round. Yet, when customers went to cash their bets on Mayfield, they were told the wagers had been graded as losers. The matchup odds on Mayfield versus Jackson were available only a few days before the book took the wager off the board. Gill Alexander, a popular sports betting personality and host of "The Numbers Game" on Vegas Stats & Info (VSIN), placed a limit bet on Mayfield against Jackson to win $500 at William Hill. 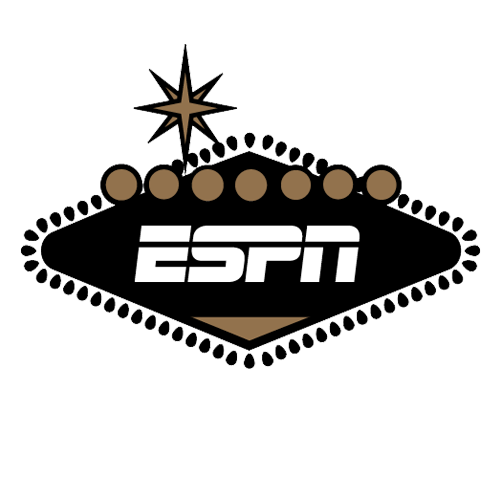 VSIN is broadcast from a studio located inside the South Point Hotel & Casino, adjacent to the sportsbook. When Alexander attempted to cash his ticket on Friday, the day after the first round of the draft, at the sportsbook at Hooters Casino Hotel, he was told the bet was not a winner. After being connected to a William Hill supervisor on the phone, Alexander was offered a refund, but declined and continued to communicate with company executives. "No one even at this point should have to go through this kind of aggravation," Alexander said Wednesday on his show. "You place a wager, you win a wager, you should get paid on the wager." Alexander had talked about his NFL draft bets on his show and was concerned anyone who had tailed his picks might also not get paid. A handful of bettors reached out to him on Twitter and said they had not been paid. On Sunday evening, Alexander was informed that he would be paid and should give the company a call in advance. Alexander returned to Hooters on Monday, called the company as instructed and was assured that his ticket would now be graded as a winner. "It was confusing," says William Hill vice president of marketing Michael Grodsky in a statement to ESPN. "It was brought to our attention, and we are paying customers. Customers can bring tickets on the specific props to any of our sports books and we will cash them." Daniel McDonald, an avid sports bettor who lives in South Lake Tahoe, was among those not immediately paid. McDonald, whose wagers on Mayfield totaled a few hundred dollars, contacted Nevada Gaming Control. A gaming control agent met McDonald at Montbleu resort and discussed the situation with a supervisor, but nothing was resolved. McDonald agreed to take a refund on some of his bets on Mayfield, but is still holding out hope that the book will pay his winnings on others. "My point of view is that [William Hill] handled it completely wrong," McDonald said Wednesday. Nevada Gaming Control said it received two inquiries from customers regarding the William Hill draft prop. "We have been in contact with William Hill staff to ensure any outstanding concerns regarding the subject wager have been resolved.," Karl Bennison, chief of enforcement for gaming control, said in an email. "Of course, in any case, any problem regarding the grading of a ticket not resolved to the satisfaction of both of the bettor and sports book operator, is handled as a dispute case. Bettors should always bring grading concerns to the attention of the sports book operator first. If the book is not able to resolve the issue, then the licensee is obligated to let the patron know they can contact the (gaming control) Board to investigate the matter. If there is a disputed amount and it is $500 or more, the licensee must notify the Board." This was the second year Nevada sportsbooks were allowed to offer bets on the NFL draft.